Yasmin is the cool NYSC corper teacher that everyone wishes that they had, she is open-minded, relatable and helps her students deal with a variety of different issues. At home we see her loving and respectful relationship with her husband, Mahmud. Though they got married young, they refused to give in to pressure from their families and they have been using family planning, so that Yasmin can focus on her career. Now that her NYSC is coming to an end they are faced with some interesting decisions! 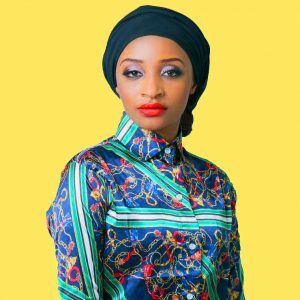 Hailing from the Kaduna, in the North-West of Nigeria, Rahama Sadau is an actress, model, producer, and director. She was crowned as 2016’s “Face of Kannywood” in recognition of her contribution to the region’s growing film industry. She has become a household name in Nigeria, starring in films such as ‘Gani Ga Wane’ and ‘Super Story’. Rahama brings her talents to MTV Shuga Naija as she takes on the role of Yasmin.